Details at the end of this post on how to enter win a copy of this book, and links to purchase it. 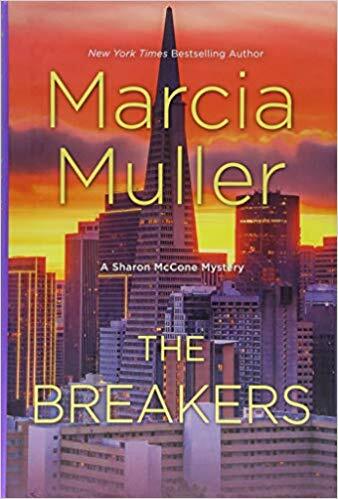 Marcia Muller's Sharon McCone series set in San Francisco was one of the first contemporary mysteries I ever read. I have kept reading them all these years and they I still love them! The Breakers is the 35th book in the series. In The Breakers, Sharon gets a call from former neighbors the Curleys because their daughter Chelle hasn't answered their phone calls in over a week and that just isn't like her. Chelle is a house flipper and has been living at her latest rehab project. The project is a prohibition era nightclub known as The Breakers, whose patrons once included the rich and famous. The building is now being used as a run down apartment building, but Chelle's job is to convert it into a service center for disabled veterans. Sharon checks out the building and finds something very disturbing in the space that Chelle was living in--a collage of photos and drawings of mass murderers past and present. Among the suspects in Chelle's disappearance is one of the tenants, Zach Kaplan, who seems to be a perpetual student. When he leaves Sharon a cryptic message asking her to meet him right way, she can't find him anywhere. Other suspects include a pair of veterans who were working on the building, and the owner. After finding a cryptic note supposedly from Chelle, telling them not to look for her, things just keep getting stranger. Could Sharon be looking for a killer from the serial killer wall? In the midst of it all Sharon is facing a personal crisis of her own. While Sharon tries to find Zach and Chelle, we also get the chance to catch up with some of the other colorful characters in the series, which was nice. Sharon has gone from a solo private detective in the beginning of the series, to running her own agency together with her husband Hy. Hy is out of town on some sort of special assignment, so he isn't there through much of this book. The Breakers is filled with the usual twists and turns you would expect from a Sharon McCone mystery, as well as the interesting and complex characters we love. I wouldn't recommend starting the series here as you will miss out on the character development, but I do highly recommend this entire series. If you enjoy a good mystery with great characters this series is for you! To enter to win a copy of The Breakers, simply email KRL at krlcontests@gmail[dot]com by replacing the [dot] with a period, and with the subject line "major,” or comment on this article. A winner will be chosen October 6, 2018. U.S. residents only. If entering via email please include your mailing address (so if you win we can get the book sent right out to you), and if via comment please include your email address. You can read our privacy statement here if you like. This is a new author to me. Sounds like a great read. Been awhile since I've read any of hers, be glad to start again. 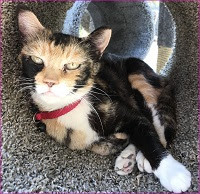 keltikat7(AT)centurylink(DOT) net. Thanks for the chance.